Added on December 12, 2017 by Scott Cunningham. For Miami Art Week 2017 (aka "Basel"), O, Miami and Jai-Alai Books created Booktanica, a bookstore + botánica in downtown Miami. Our partners were the incredible Donna Freeman, proprietor of Spirit and Beyond, and Dr. Martin A. Tsang, curator at the Cuban Heritage Collection at the University of Miami. We also sold products by Curandera Press and The Serpent's Forge, and we were thrilled to be next-door neighbors with our friends at Dalé Zine. 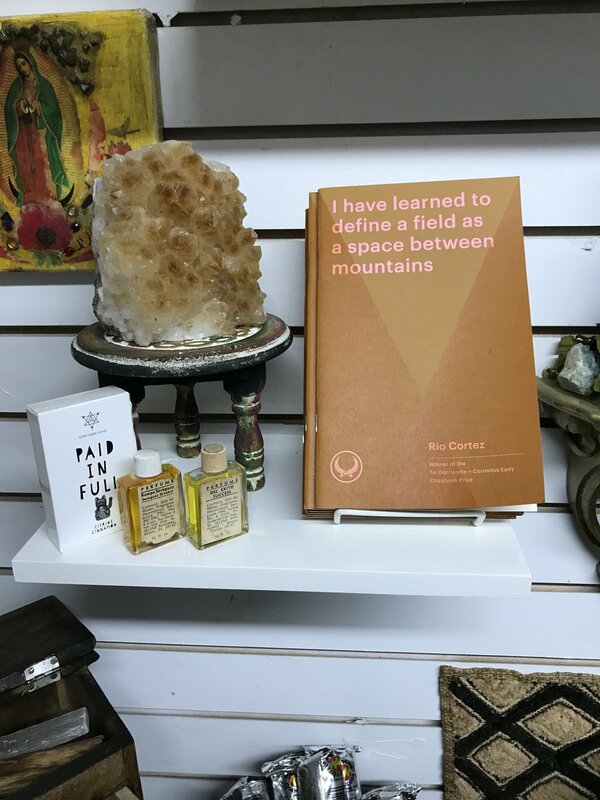 Booktanica was located at the 777 Building on Flagler Street and was made possible through support from MANA Contemporary. Thank you MANA! Read all about it in Culture Designers & The Miami New Times.